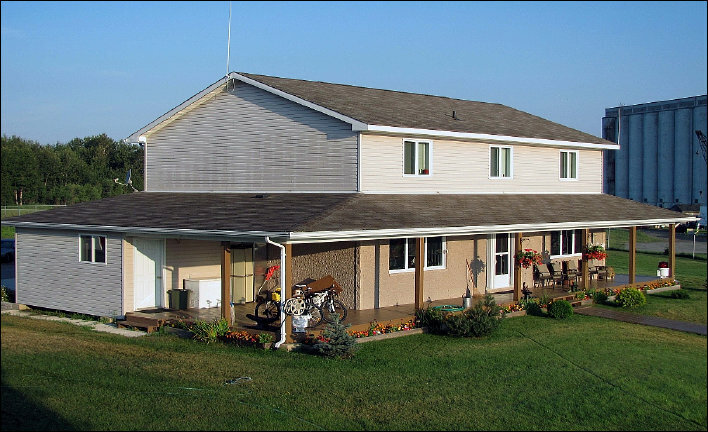 A Canadian Marine Communications and Traffic Services (MCTS) Centre, VBA Thunder Bay is located on the northwest shore of Lake Superior and its radio coverage area (using remote controlled repeater sites) covers Lake Superior, the St. Marys River, northern Lake Huron, Georgian Bay, and Lake Winnipeg. In the near future these areas will be transferred to Prince Rupert and Sarnia MCTS Centres, and Thunder Bay will be closed because of MCTS restructuring. The original "wireless" station was built in late October 1910 and operated by the Marconi Company using radio callsign "MUG", and it is the first and oldest of the Canadian Great Lakes coast stations. The new station soon proved the usefulness of wireless (on the Great Lakes) when the bulk cargo canal boat SS DUNELM ran aground off Isle Royale on 7 December 1910, and the ship, cargo and crew were rescued using two-way radio (Morse code) communications with MUG and the rescue and salvage vessels. 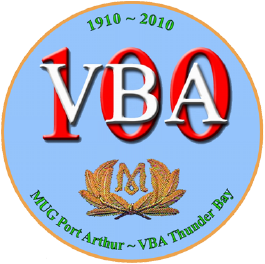 By 1937, radiotelephony (voice) was in use on the Great Lakes with VBA Port Arthur (government callsign issued 1913) and VBG Toronto equipped to provide two-way radio-telephone patch (ship-to-ship and ship-to-shore) services. This meant Morse code was no longer required because anyone could exchange messages or call for help just as easily as using a regular landline telephone. In 1962, the Port Arthur coast guard was combined with the air radio (Aeradio) station at the Fort William airport and the radio operators cross-trained to do both jobs. This combined Aeradio station (now called Flight Services) continued operations until April 1986, when the air and marine divisions were separated. 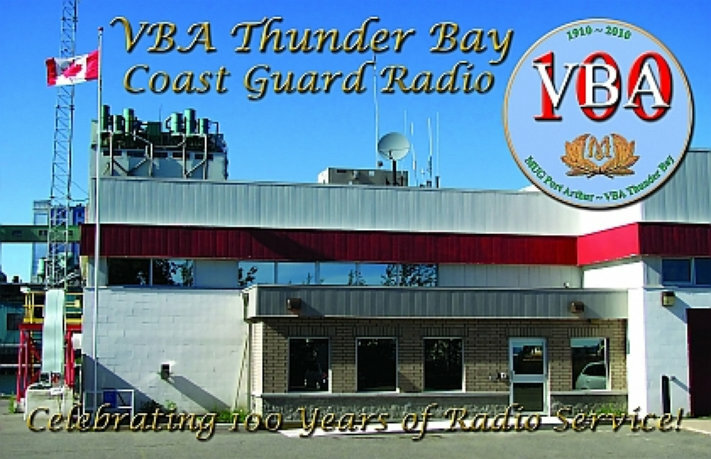 VBA was relocated to the Thunder Bay (formerly the twin cities of Port Arthur and Fort William) post office building (north) and recommissioned as a coast guard radio station. Winnipeg and Churchill coast guard radio stations shut down operations in the same year and were integrated into Thunder Bay using remotely controlled equipment, landlines and microwave towers. The "new" VBA also provided radiotelephone and Morse code services for western Hudson Bay (via Churchill) until November 1998. In April 1997, the station was again relocated, this time to the coast guard base (Keefer Terminal complex) in the intercity area, and re-commissioned a Marine Communications and Traffic Services (MCTS) Centre. This came about because the former Vessel Traffic Services (VTS) and coast guard radio merged to form MCTS. The recently closed Wiarton and Sault Ste. Marie stations were also blended into Thunder Bay, and a new VHF TIAS (Traffic Information Advisory Service) for the Port of Thunder Bay was added to the growing list of station duties. In July 2012, the responsibility for western Hudson Bay (Churchill) was transferred to Iqaluit MCTS. At the end of May 2015, after nearly 105 years of operation, as a result of more consolidation, Thunder Bay MCTS Centre was closed and its remaining radio service areas (Lake Superior/Northern Huron, Lake Winnipeg and Georgian Bay) were transferred to Sarnia MCTS Centre. Search and rescue (SAR) "Tobermory style" house (2010) at the Thunder Bay coast guard base (Keefer Terminal) on the west side of the operations building. This is the seasonal residence of the two Cape Chaillon, 4-person crews (commanding officer, engineer, and rescue specialists), who rotate in and out every 2 weeks from April to December. Radio stations can be replaced with repeaters but you still need people to go out and do the actual rescues. And that won't change for a long, long, long time! "Our patience will achieve more than our force." Personal web site. Not affiliated with any agency. Copyright © 2000-2019 R. C. Mazur, VA3ROM.